Each data row in the grid represents a record from the specified DataSource. Each RadGridView has a row collection of type GridViewRowInfo. The collection provides methods to add or remove items. 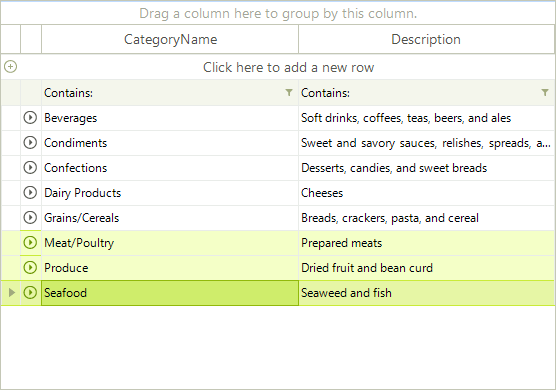 Note that only Rows bound to the data source are kept in the Rows collection. 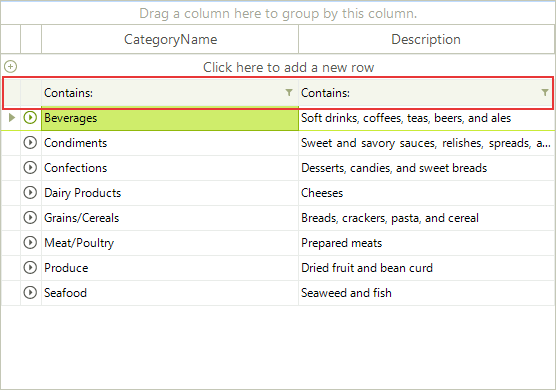 The header, search, filter and new rows are not included in this collection. You can check if a grid row is in selected state using GridRowElement.IsSelected property. Multiple rows can be selected if the RadGridView MultiSelect property is set to True. 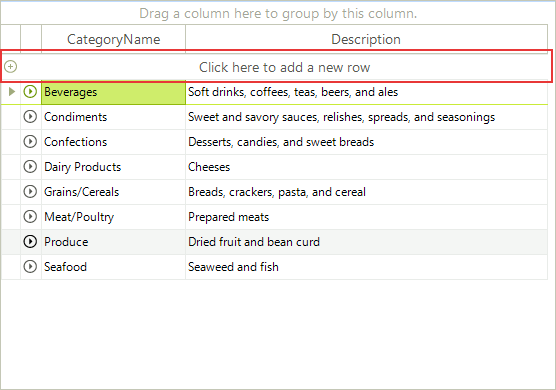 Filtering row will appear automatically when you have Filtering enabled either by EnableFiltering or GridViewTemplate.EnableFiltering properties. The header element is represented by GridHeaderRowElement object. 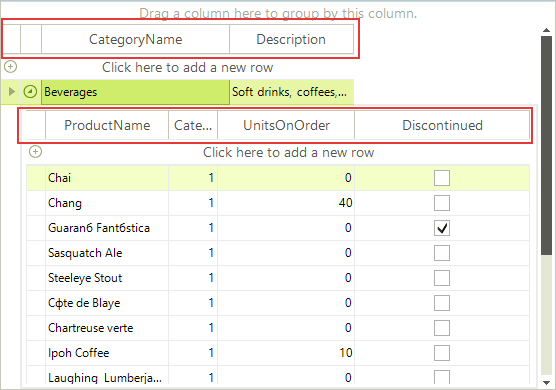 Depending of the value of the GridViewTemplate.AddNewRowPosition property the new row element appears below the header row or after the data rows.